A fantastic book tracing the history of the Aspiring area as far back as 1859. 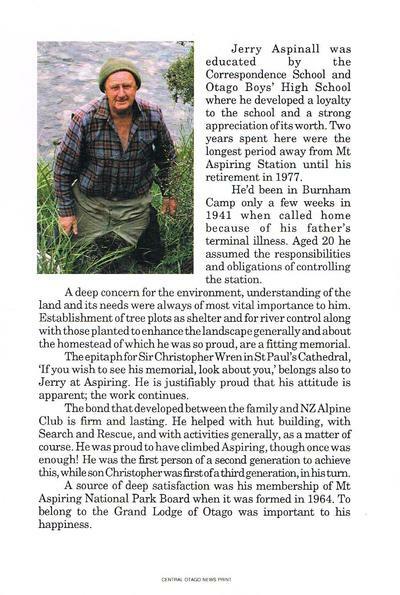 This is essentially an Autobiography by the second generation to farm the property Jerry Aspinall. Great tales of life in the remote Aspiring valley. This book is available for loan from public Libraries especially in Wanaka, Cromwell, Alexandra and Dunedin. More details here.